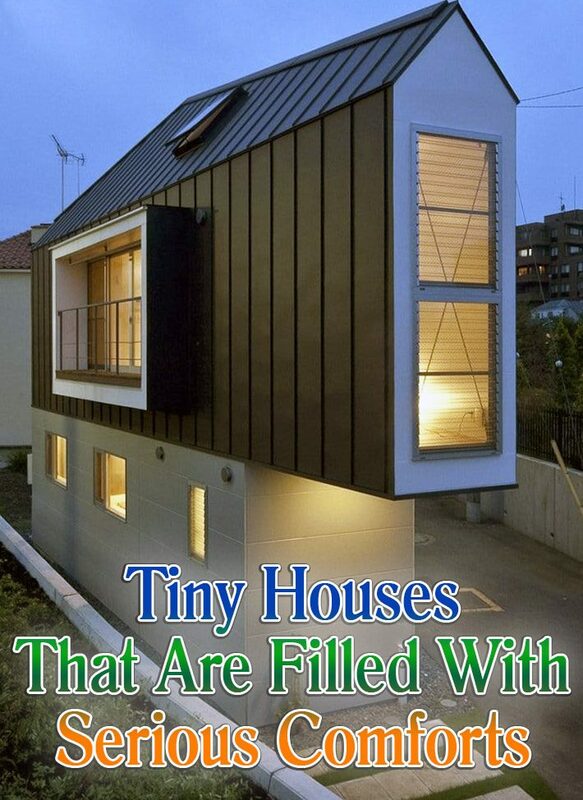 Most of these tiny houses seem downright spacious compared to some of the truly tiny houses out there. 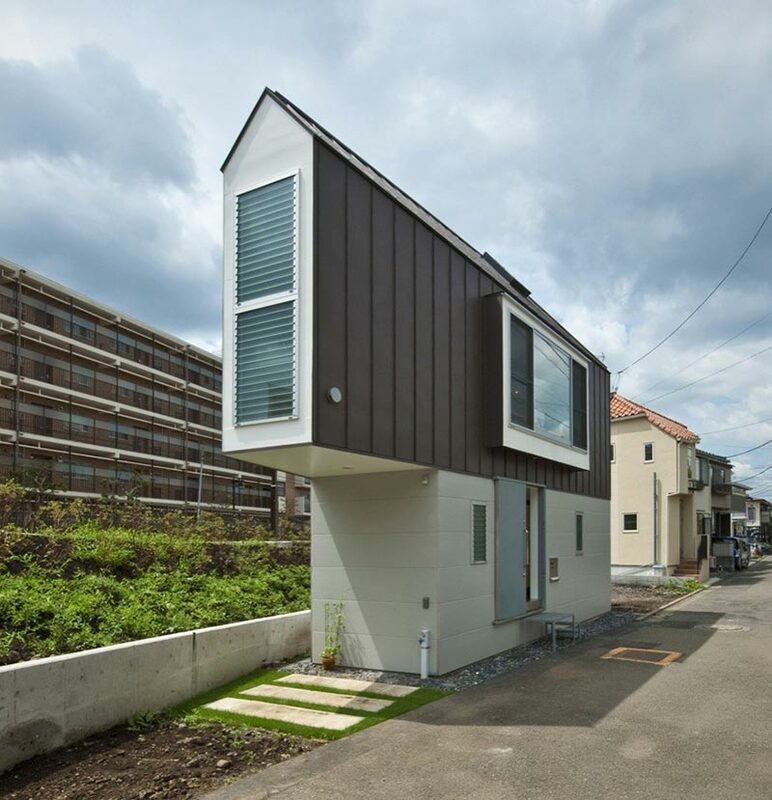 While these matchbox homes might not be for everyone, the cozy spaces certainly prove that bigger isn’t always better. 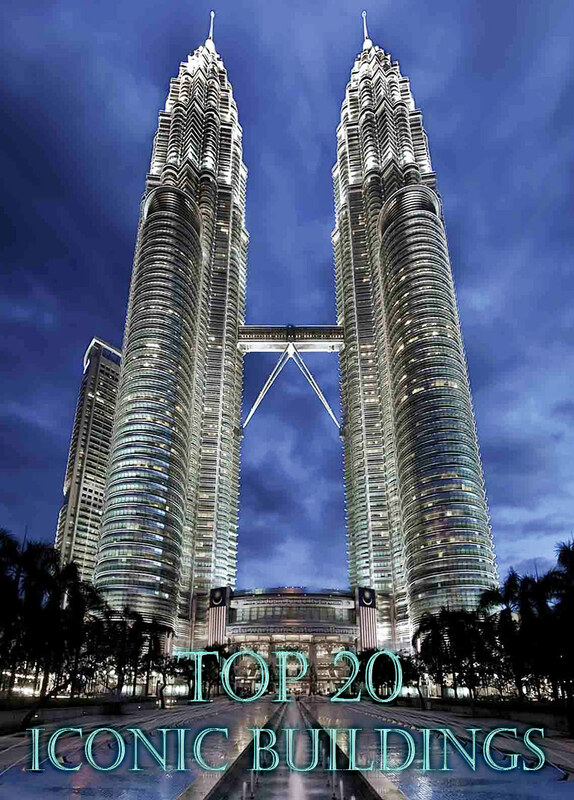 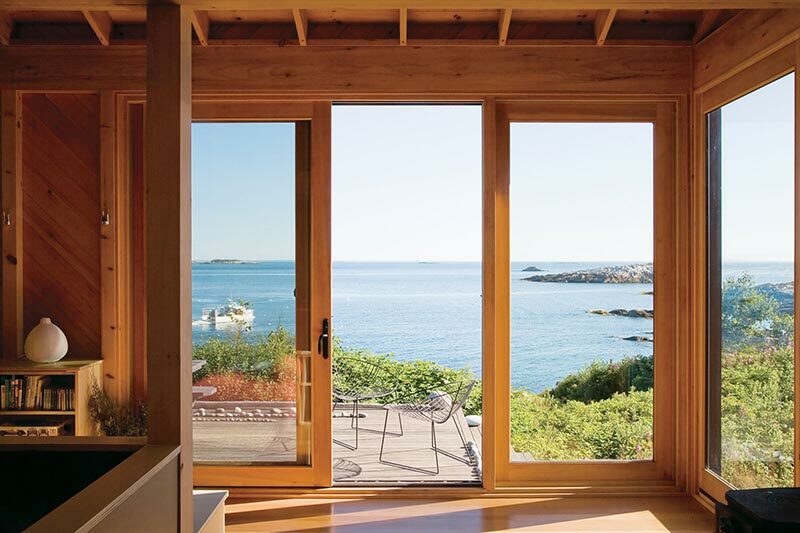 A lot of people want to get away from it all when they retire, but few have the luxury of having talented architect Alex Scott Porter as a daughter. 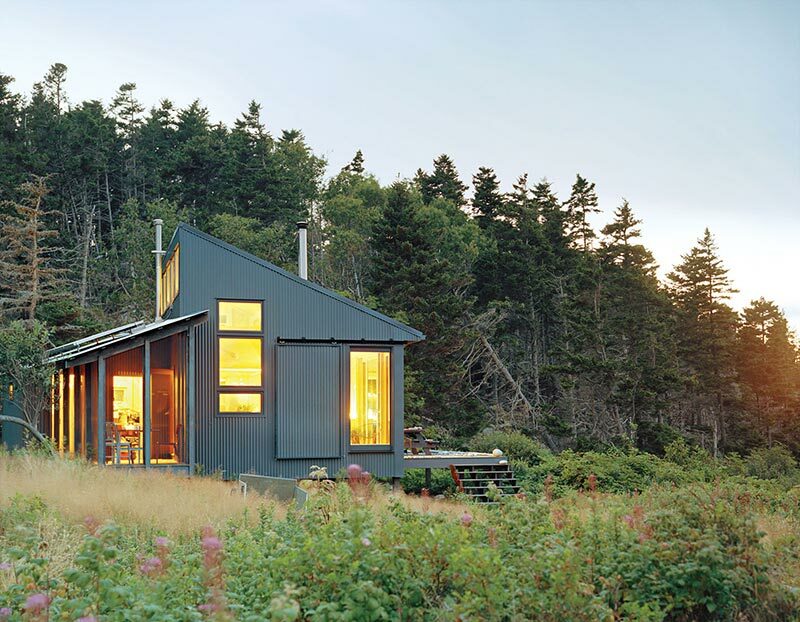 Since retired journalist and professor of Columbia University Bruce Porter was so fortunate, he was able to work with his daughter to build this incredible 550 square foot cabin in Ragged Island, Maine. 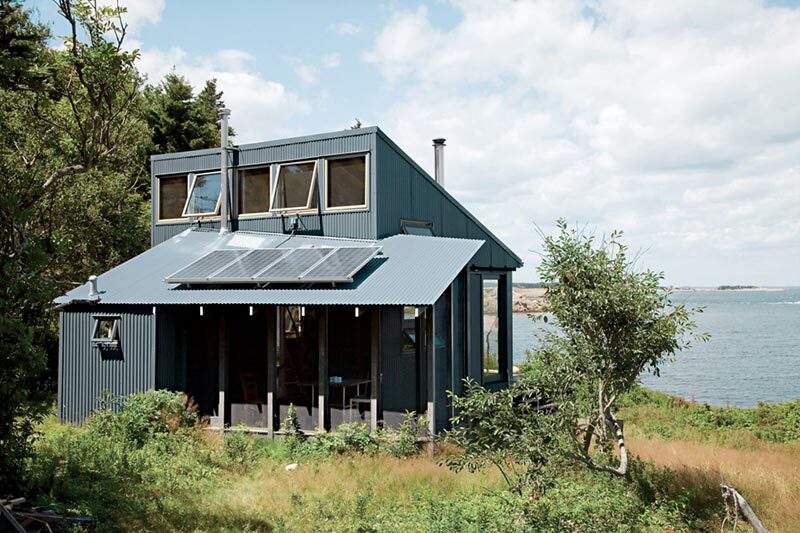 The cabin not only looks great, but it’s also totally off-the-grid and eco-friendly with a roof designed to feed in a rainwater collection tank, solar power, passive solar heating, gray-water recycling and a small propane tank for when the sun isn’t out. 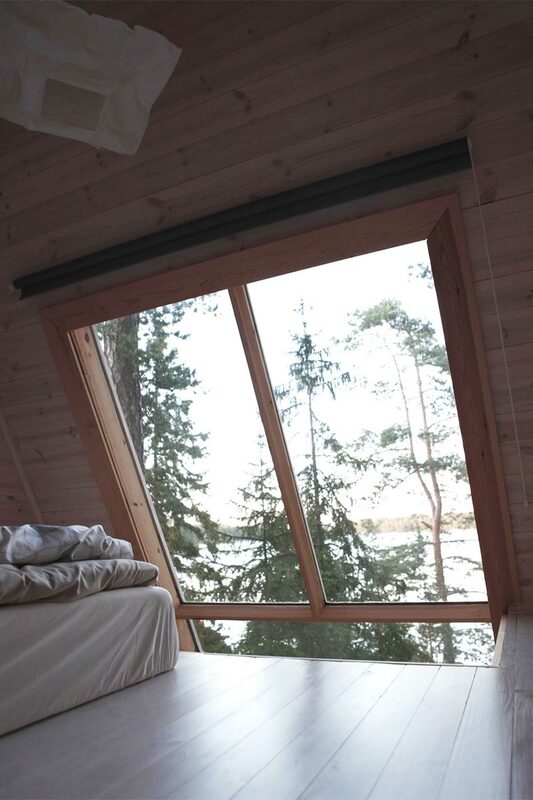 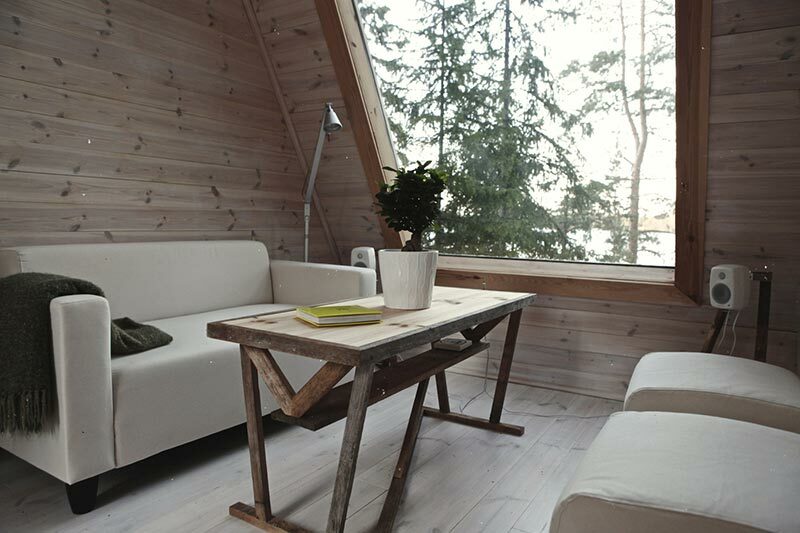 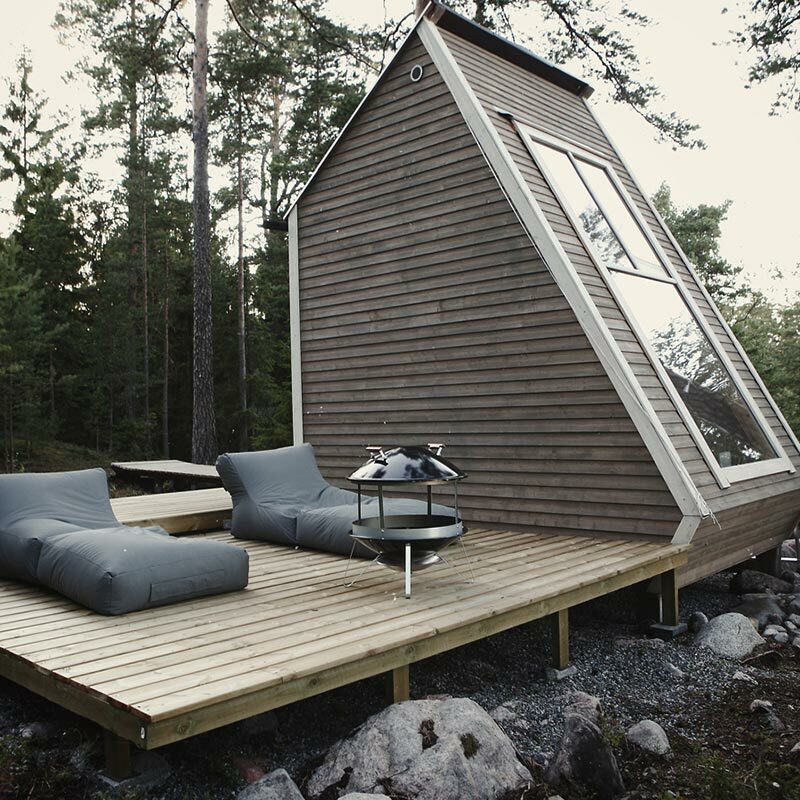 96 square feet doesn’t sound like much, but when you see the photos of Robin Falck’s lakeside cabin, you quickly realize that’s all you need to feel at home in a stunning forest setting –especially one with such an incredible view. 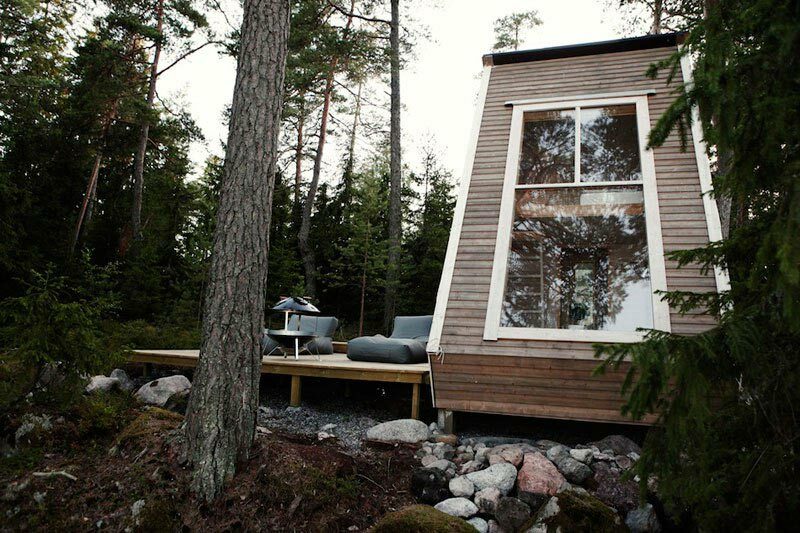 The two-story home in Finland took only two weeks to complete, required no permits and cost about $10,500. 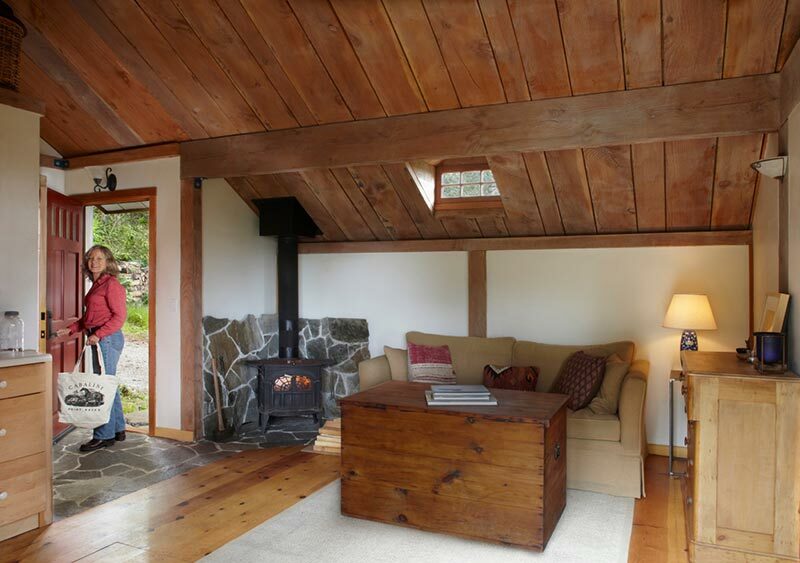 When a tree fell on Nancy’s property during a powerful storm, she took the opportunity to construct an in-law unit she had been thinking about for a while. 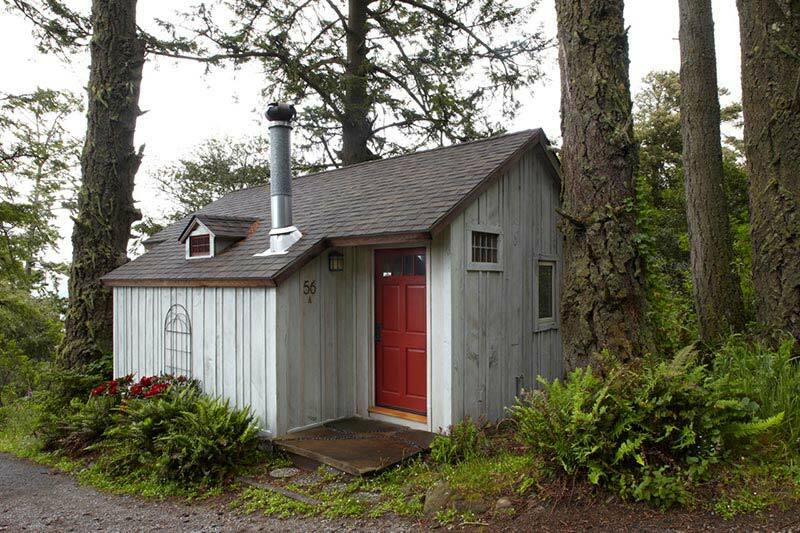 She hired a logger to cut the tree into timber right on the spot and used the wood to construct a small, 450 square-foot cabin. 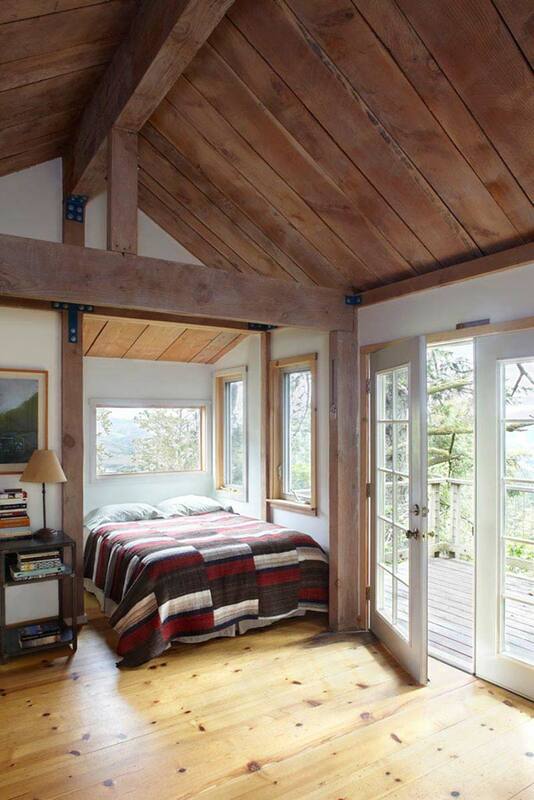 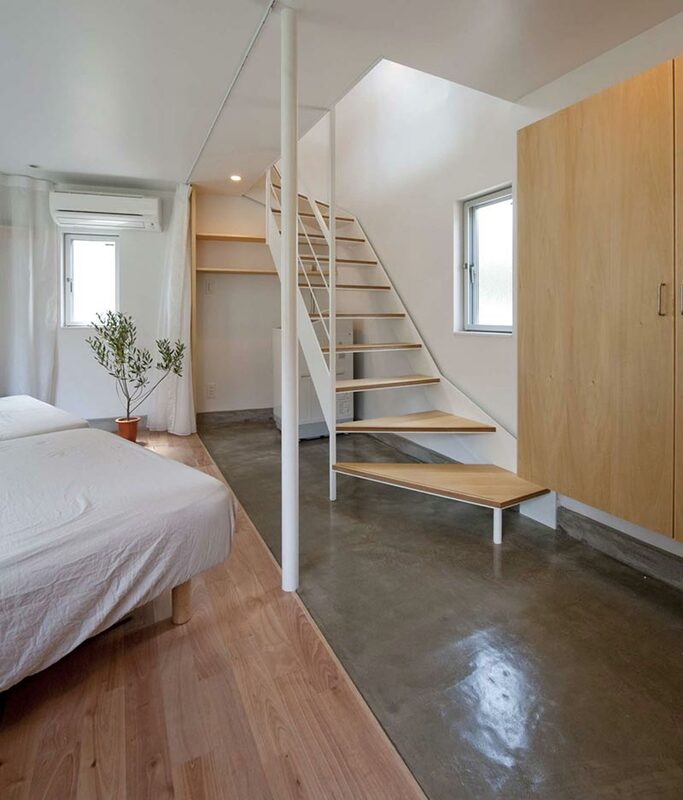 The house essentially uses a studio layout, but having the bed tucked away in its own nook makes it feel more spacious. 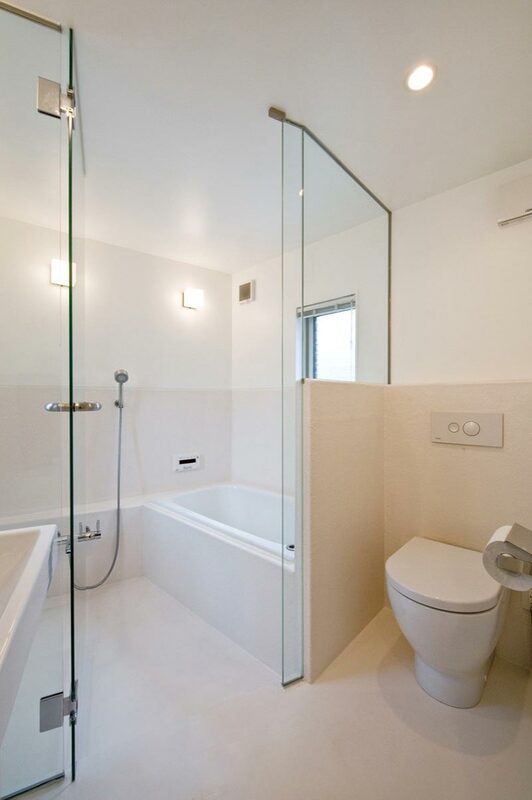 And the fact that the full bathroom and laundry room are included in the small design makes it that much more appealing. 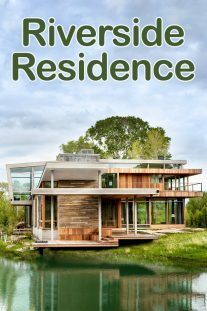 Where you live can play a major role in how you can design your home, based on local building ordinances. 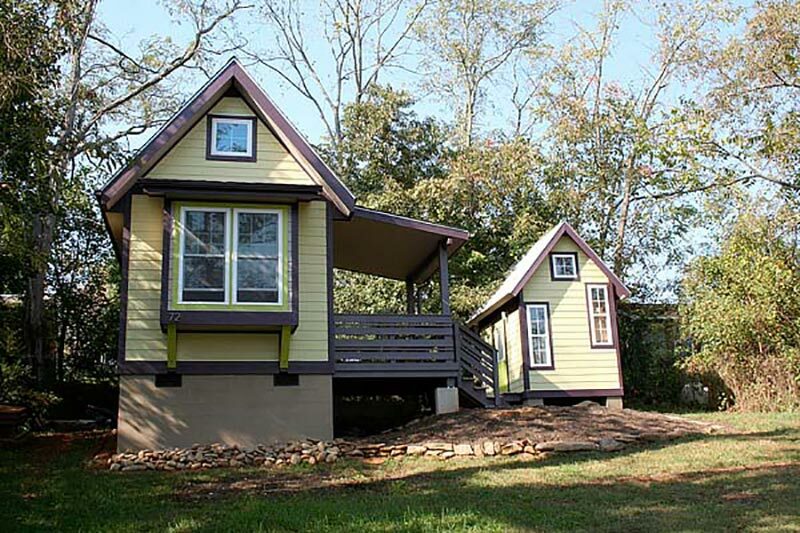 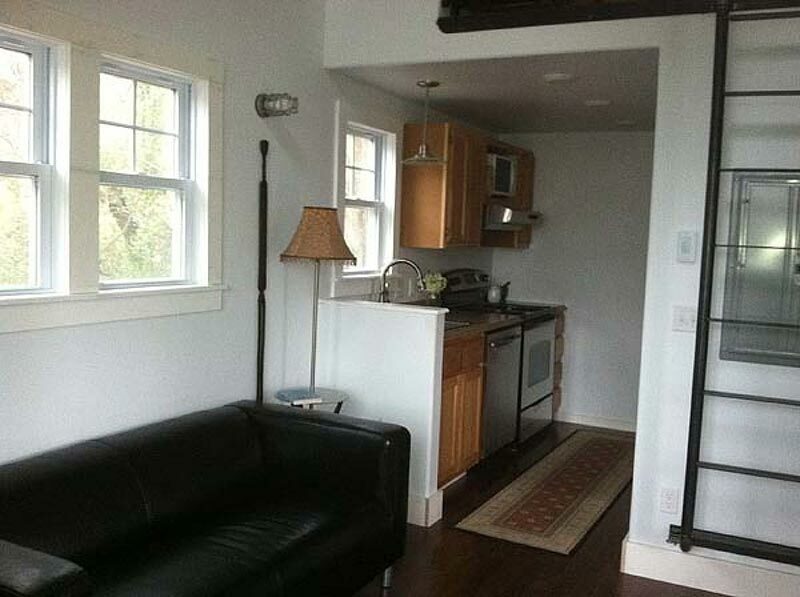 Marcus Barksdale is lucky enough to live in Asheville, North Carolina, which allows for houses as small as 150 square feet as long as they meet certain requirements –for example, every home must have a sink in the kitchen and the bathroom and each kitchen must be at least 50 square feet in size. 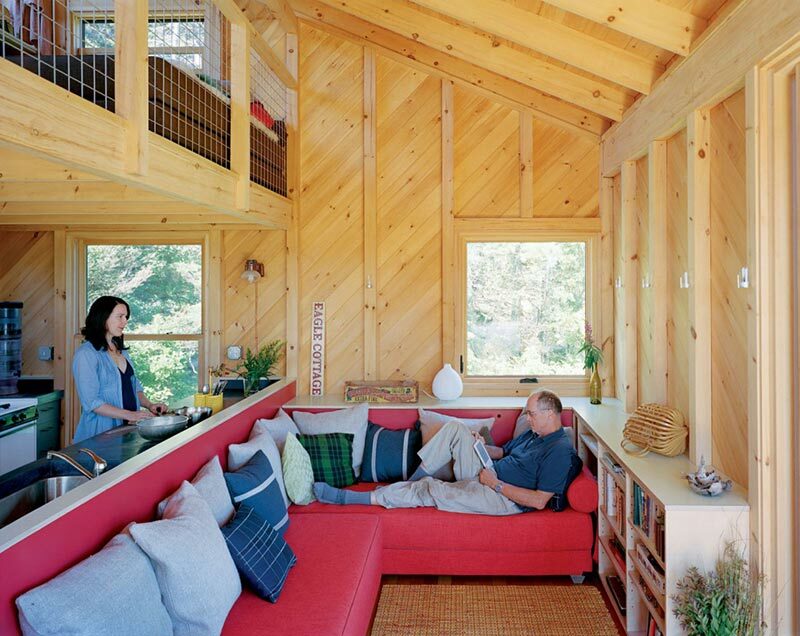 Marcus’ house ended up measuring 240 square feet, plus a loft area of 100 feet and the exterior and interior are equally cozy and charming. 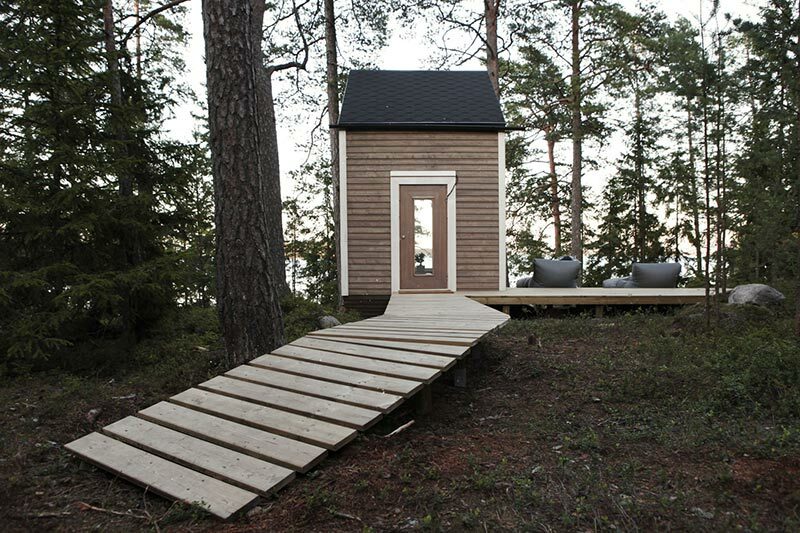 Of course, sometimes you find yourself restricted based not on building codes, but on the actual land available. 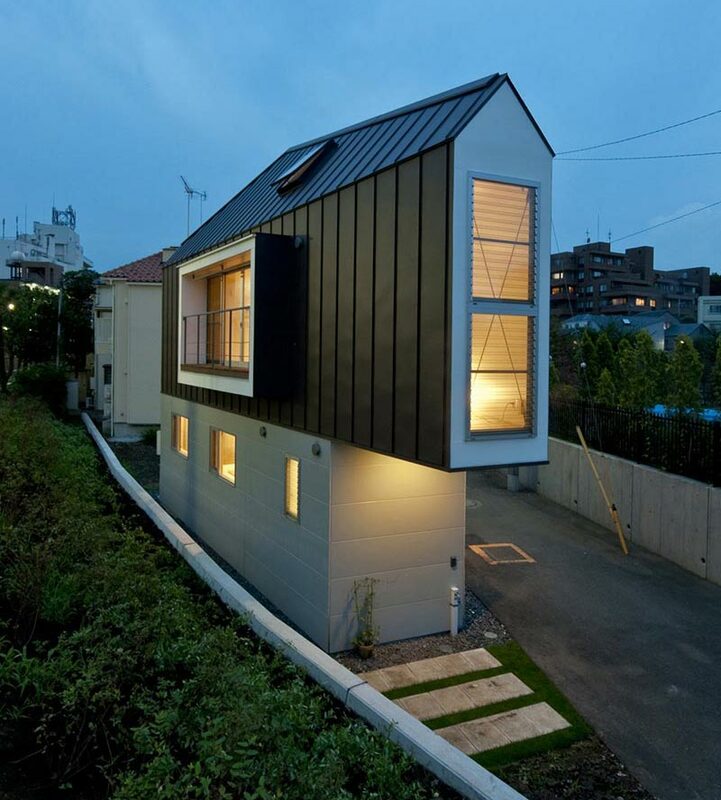 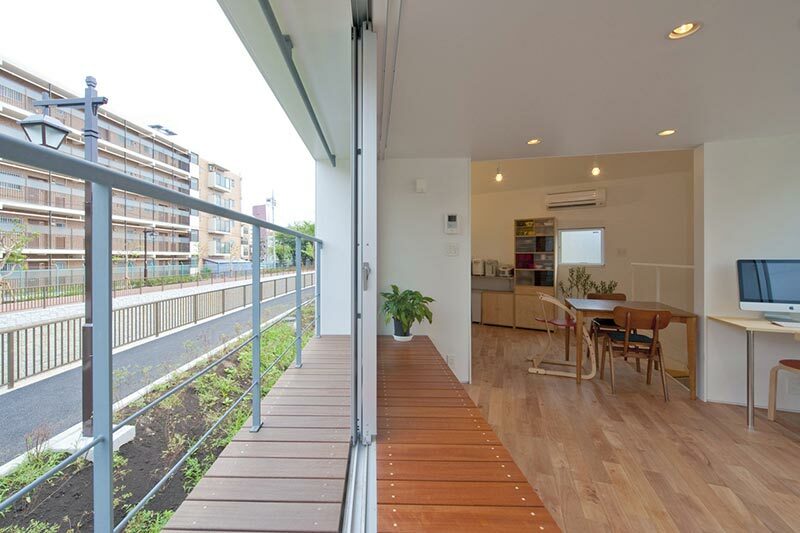 Mizuishi Architect Atelier was faced with such a challenge when it came to constructing the River Side House in Tokyo, Japan. 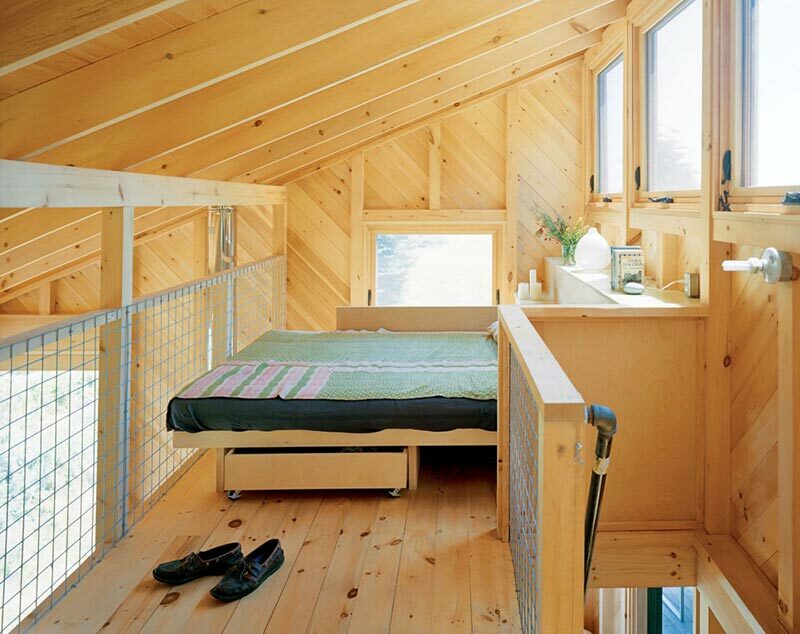 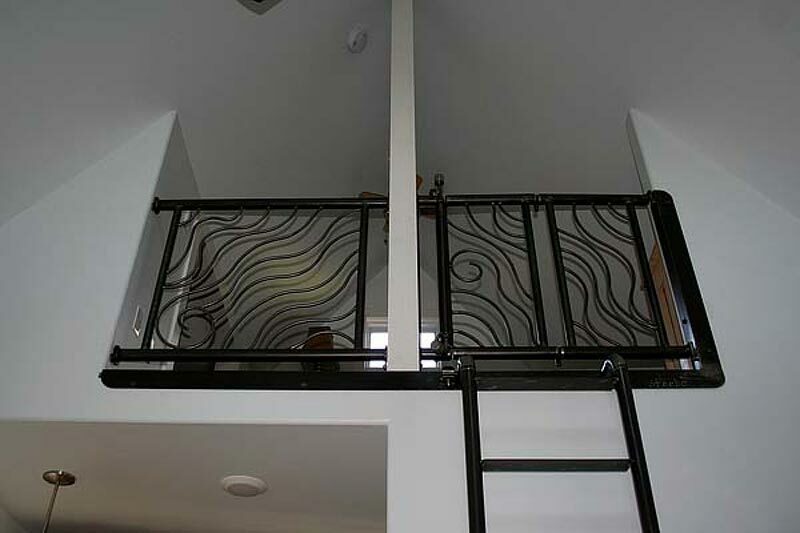 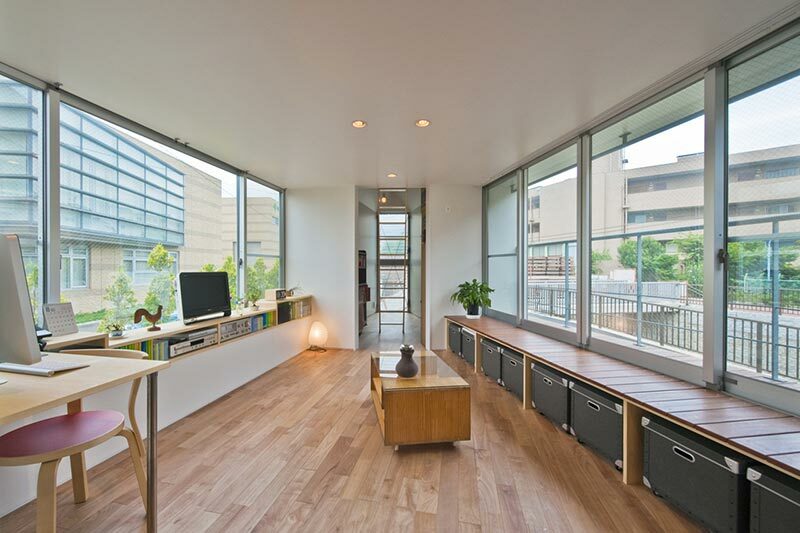 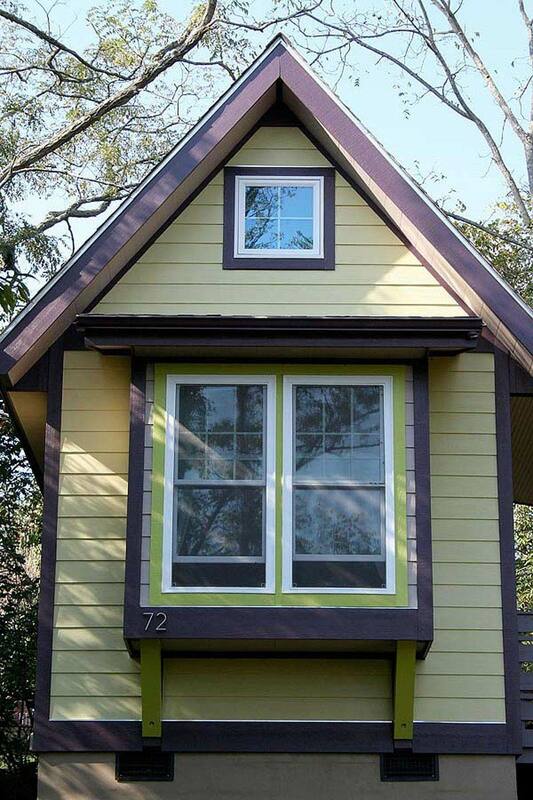 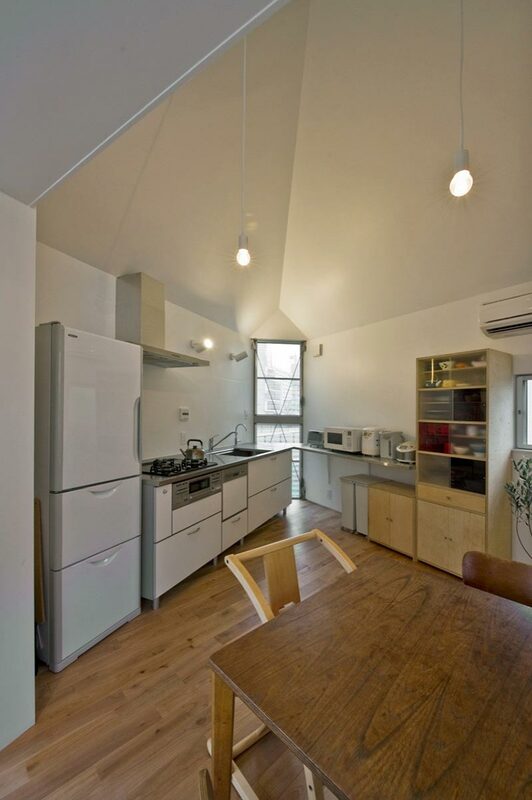 The end result is this delightfully clever design that takes up only 300 square feet. 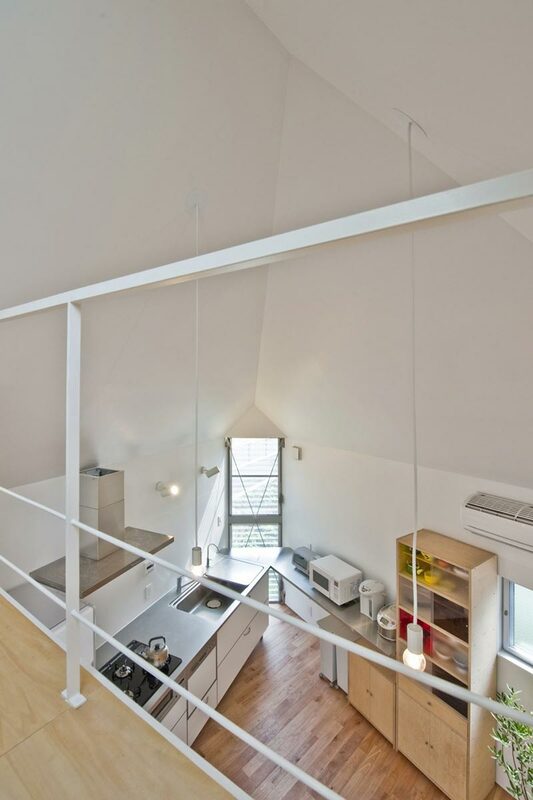 The lower story of the home features the dining and kitchen area, while the upper area contains two bedrooms, a living area and the loft at the peak of the roof even offers a small play space for children.